Deionized water is a clear colourless liquid which does not contain any charged ions nor organic material. Deionized is different from water obtained from other sources as water usually contain ions and impurities which may sometimes be undesirable. Water is first filtered in the process of reverse osmosis where water is forced through a semipermeable membrane using a pressure differential. 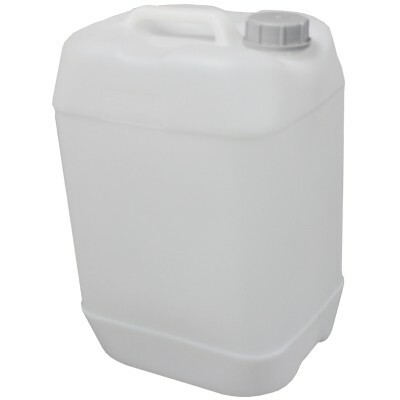 This removes most of the organic compound present in the water. The filtered water is then subjected to ion exchange using ion exchange resins where ions present in water would be removed and replaced with hydrogen and hydroxide ions which would be present in water naturally from the dissociation of water. From this, deionized water is obtained. Deionized water is used in aquarium as regular water may contain impurities which would encourage algae growth which would be detrimental to marine lives. Deionized water is used in lead-acid car battery and engine because normal water may contain corrosive contaminants which can lead to rusting, reducing the lifespan of the vehicle. Cleaning of some industrial machinery may require the use of deionized water because normal water may cause parts to corrode. Salt may accumulate if normal water is used which can cause corrosion to the machinery, hence deionized water is used instead.